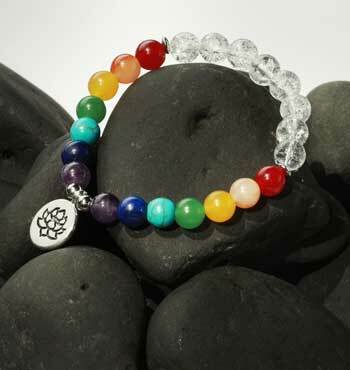 Each chakra is represented by stone beads that corresponds to the chakra’s color. It is an elastic bracelet. It is hand-made with 8mm beads. 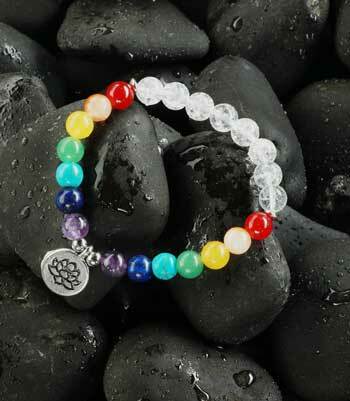 The Lotus Charm is made of zink alloy. Mantra: I am Divinely guided. All my chakras are balanced. 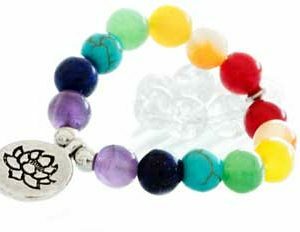 Set Your Intention: To open up and balance each chakra, to allow and receive Divine guidance and to bring a greater sense of balance and being Divine supported, attune the Seven Chakra Bracelet to your energy. Sit quietly. 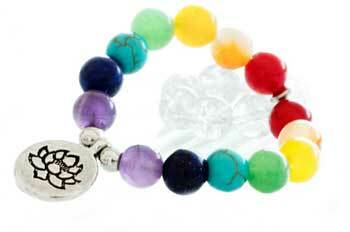 Hold your Seven Chakra Bracelet against your heart. 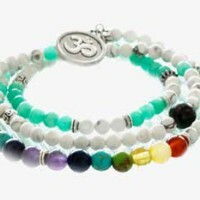 Breathe in your intention for the jewelry and infuse it into your mala. And so it is. Your bijou is now ready to wear.